Few experiences are more frustrating than constantly feeling sick when you're supposedly healthy. This is the case for the 40 percent of world's population who struggling with allergies. To add insult to injury, the allergy epidemic has grown rapidly in many countries over the past decade, with more and more people succumbing to sneezing, coughing, runny noses and other common symptoms. But the biggest surprise of all may be the fact that chiropractic care and other forms of conservative treatment can offer non-pharmaceutical allergy relief. Our chiropractor here at Nichols Chiropractic in Manhattan KS, Dr. Jarred Nichols, can provide you with this kind of care. 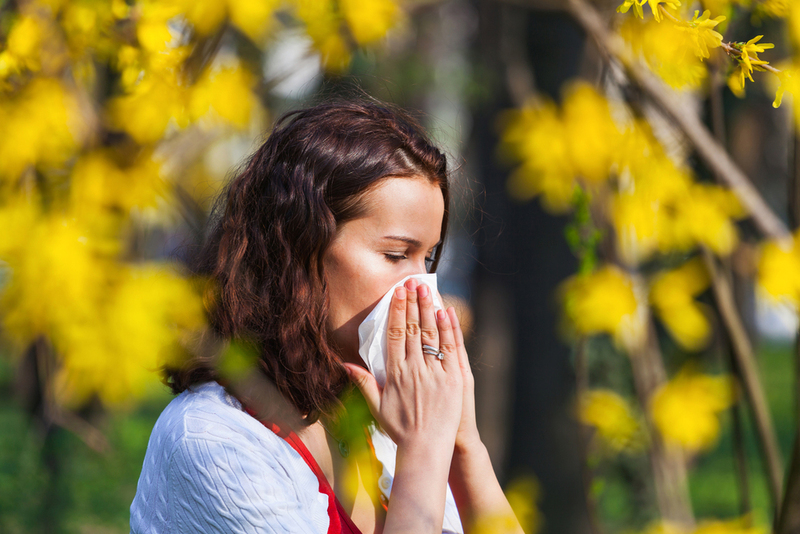 The connection between chiropractic adjustment and allergy relief might seem tenuous -- until you understand the role of the human nervous system in regulating your immune responses. An allergy is an immune system reaction to some trigger (allergen) that poses no threat to health but is perceived as a danger nonetheless. When the immune system mistakes these allergens as threats, it sends out antibodies to fight off the "invaders." This causes such well-known histamine reactions as skin rashes, respiratory symptoms, watery eyes and diarrhea. What makes your immune system prone to error? Poor nerve function may be part of the problem. If something is impairing the passage of nerve signals between the brain and the body, the immune system may simply fail to function at top efficiency. Your endocrine system may also be impaired. This can reduce the availability of cortisol, which normally helps to control allergic reactions. Skin tests, blood tests, and other diagnostic measures can help us determine which allergens we're fighting. Our chiropractor in Manhattan will check your spine for alignment problems that might be affecting nerve function. Chiropractic adjustments can dramatically improve your immune system's ability to do its job without getting "confused" while also helping to normalize your endocrine system function. We can also provide nutritional and lifestyle counseling to help you keep clear of your particular triggers. Are you ready to feel better the natural, drug-free way? Call our chiropractor in Manhattan at (785) 537-2211 to schedule an allergy consultation and evaluation!